Advanced Professional Plumbing & Heating Services London- we're husband and wife formed. 24 hr emergency London plumbers. Advanced Plumbing & Heating Services can provide the all commercial and domestic services that will cover all repairs, maintenances, replacements and installation of Dishwasher, Tumble Dryer, Laundry Machine, Washing Machine, Washer Dryer etc. We have fully qualified Dishwasher repair engineers, commercial plumbing, heating engineers who specialise in tumble dryer repairs, operating in all London and surrounding areas like Enfield, Twickenham, Bromley, Kent, Essex, Croydon. Does your Dishwasher give you trouble? Are you seeking a professional help in a timely manner yet affordable? If so; we are a phone call away. We have experience in repairing, replacement, installation of many different Makes and Models from generic models to high end appliances. We have serviced many different companies, businesses, hotels, companies in London and surrounding area and have great deal of experience in the field whether it is for Residential or Commercial appliances. 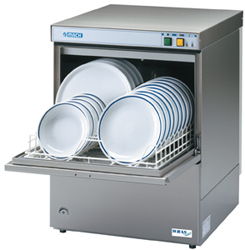 We have qualified Dishwasher repair specialists / technicians that can provide you with high level support to all your major needs from Dishwasher repairs to freezer repairs and whether its home repair/maintenance or commercial and can meet your expectations for all types of other laundry machines for example commercial or domestic laundry machines.